Spacious penthouse with superb views towards the sea and the castle. 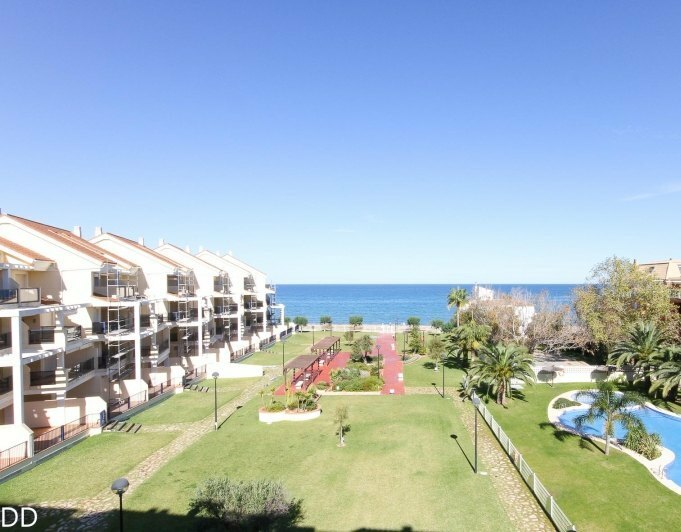 Located in Marqués de Campo within walking distance of the port. The property is renovated and has a entrance hall, 3 bedrooms, 2 bathrooms (one with shower and one with bathtub), closed kitchen and spacious livingdining room. Kitchen and lounge have access to a terrace of approx. 27 m². The master bedroom has a spacious wardrobe. PVC windows with double glazing, laminate floors, air conditioning/ hot/cold in living room and master bedroom, electric heating. On the topfloor of the buildingis a storage room for common use. The location and and the price make this property very interesting!